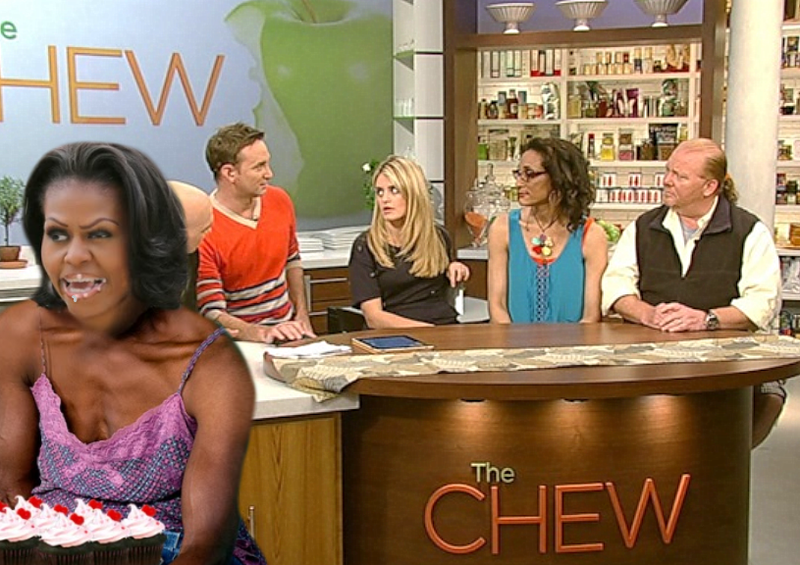 New York (MFNS)-The First Lady, Michelle Obama was in New York last weekend to tape 2 segments of the popular show cooking 'The Chew', slated to run this Friday, October 3rd. on ABC. Middle Finger News has obtained exclusive production video screen-shots of her up-coming appearance from sources behind the scenes of the show. As always, wherever the First Lady makes an appearence, the audience greets Mrs. O. enthusiastically, and the Chew audience were thrilled to see the nation's school lunch menu lady and wife of the President in person. Looked absolutely stunning in her tan fitted slacks and lace-up brown blouse with gold chiffon fart-flap early warning system she also wore at a recent photo-op, Mrs. Obama talked at length to the Chew Crew of proper nutrition and of her love of slaving over a hot stove to cook healthy meals for Barry and the first gals. 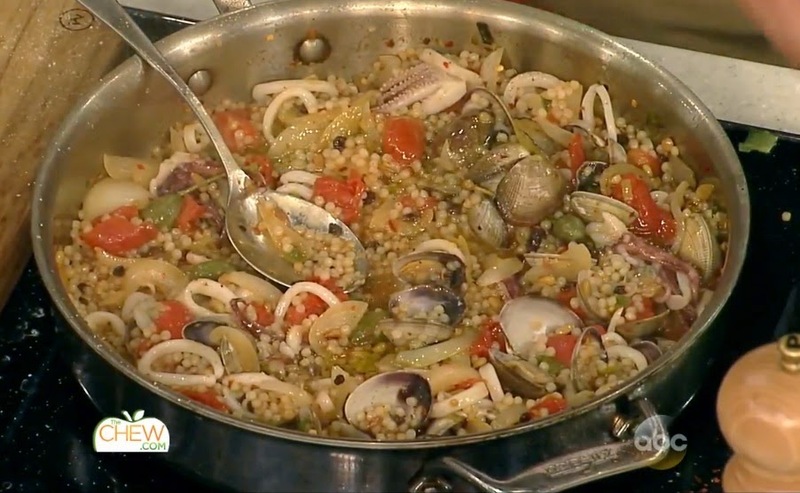 The recipe of the day was Mrs. Obama's secret ingredients for her favorite summer evening family dish, a rich high protein, low calorie luscious 'Garden Snail and Ethiopian Rainbow Toad Egg Soup' with a delicately roasted Botswana Dandelion Garnish. Mrs. O. severed up the dish to the Crew with a side of chilled pickled arugula with ground African Ubuntu Nut seasoning, smothered in a creamy sweet pisto goat spline dressing. It was a big hit. In the second segment the First Lady made her favorite desert treats, ' Repollo y Fajita pastelitos de carne ' with free range yak cream cheese icing. But looking a little green around the gills and stuffed to the rafters from the main course, the Chew Crew decided to pass on the sweet treats.